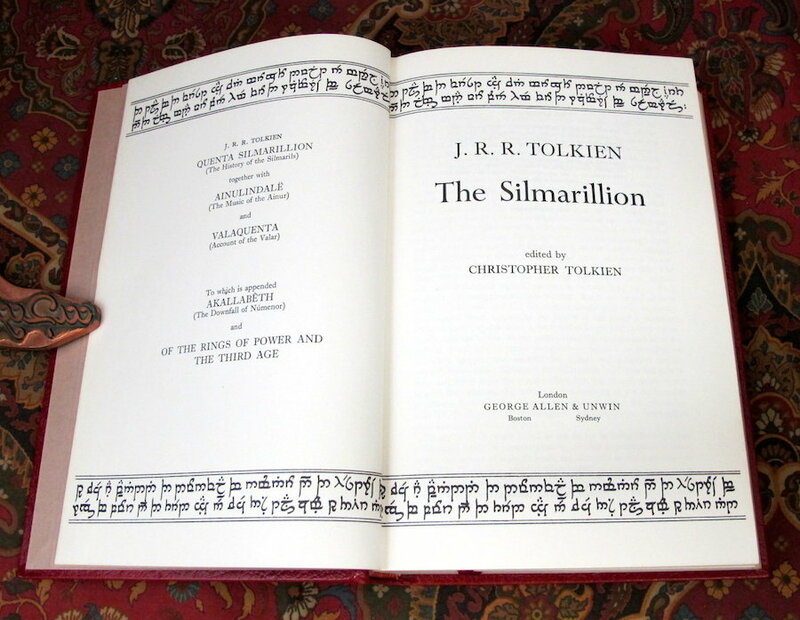 A Near Fine example of the very hard to find Super Deluxe Limited Edition issued to coincide with the fifth anniversary of the first publication of The Silmarillion. The Silmarillion by J.R.R. Tolkien. Published by Allen and Unwin in 1982. This is the Super Deluxe Signed Limited Numbered Edition. 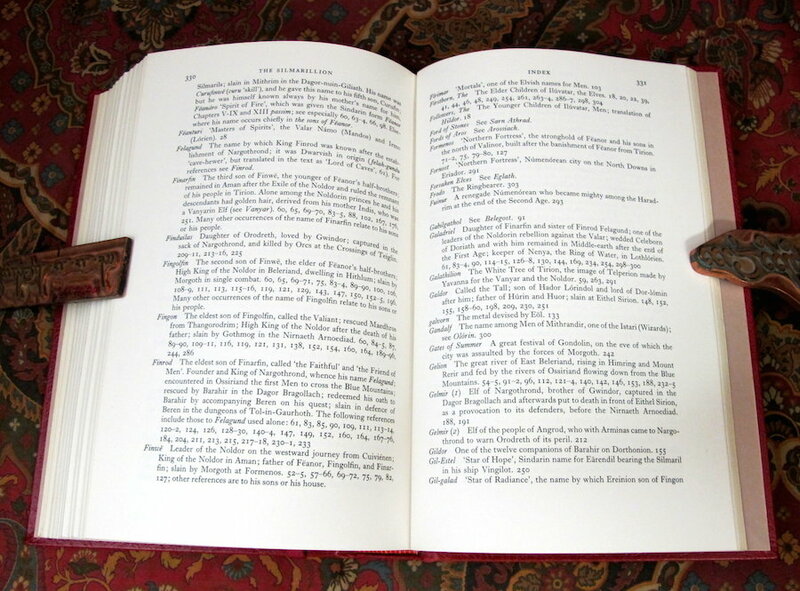 This is copy number 100 of the first one thousand copies off the press of the first edition of The Silmarillion by J.R.R. 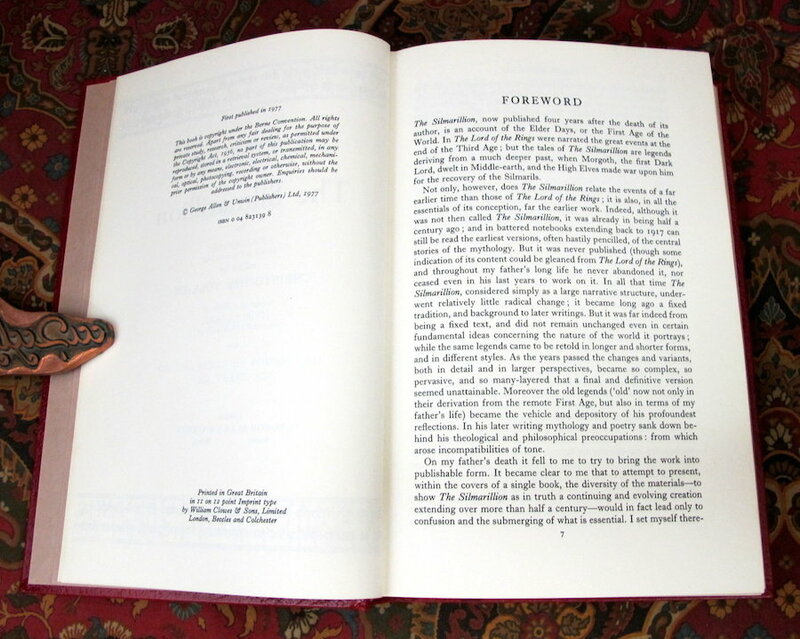 Tolkien, reserved for later publication in this collector's edition. Only the first 100 were signed by Christopher Tolkien to the Limitation Notice. To support this statement, this copy has the noted points or error's: Page 330 line 4 shows no period after Feanor. 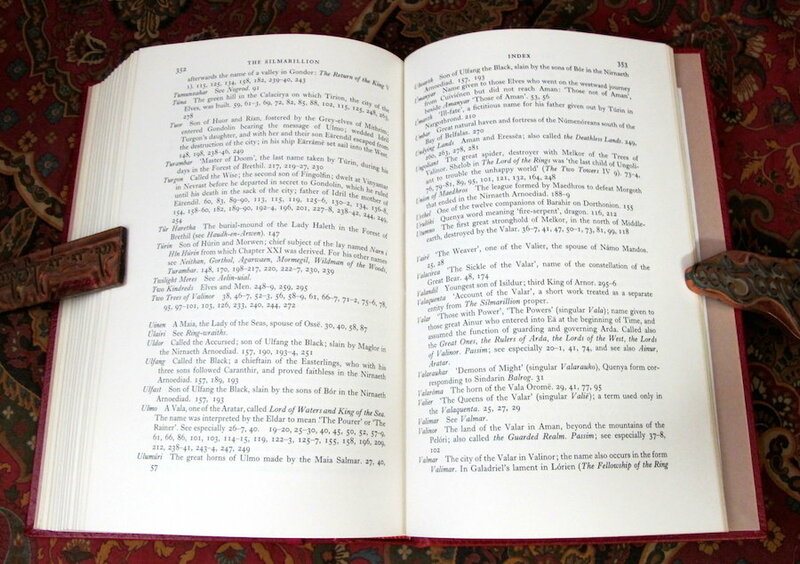 Page 352 line 39 has an italicized "and" in 'Lord of Waters and King of the Sea'. Making this the First State of the First Impression. Collected and edited by Christopher Tolkien after his father's death. 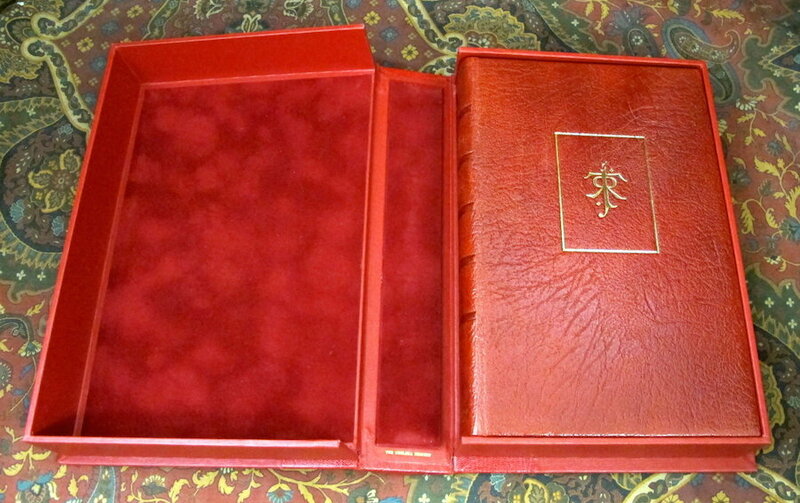 Original publishers full red leather binding, with raised bands, gilt stamping, and top edge gilded as issued. a couple of rubs to the top edge gilding, the only fault noted. 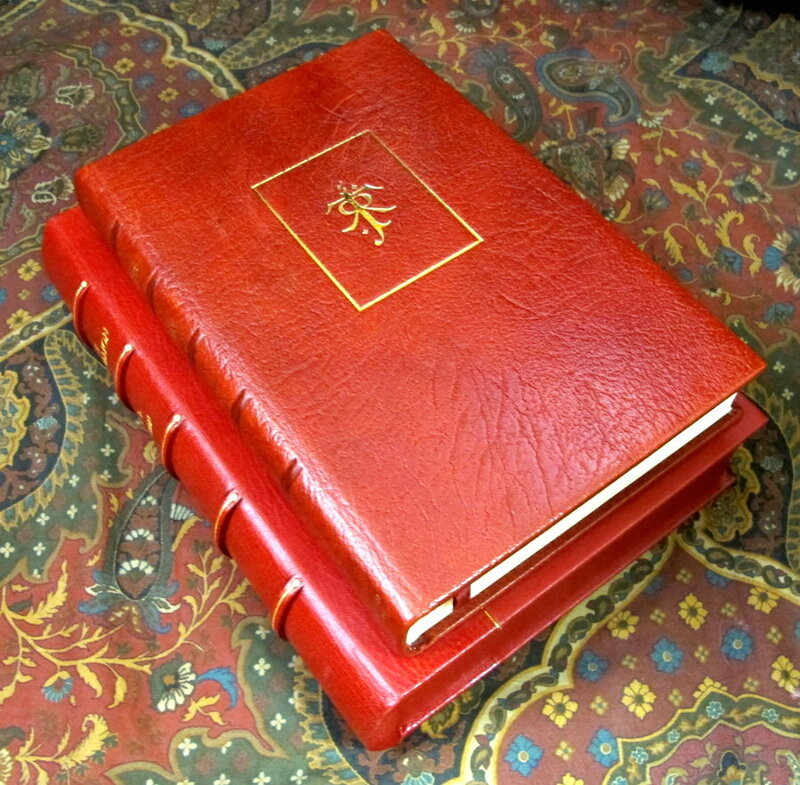 The book features a red silk ribbon marker bound in, raised bands and gilt stamped Title, Author, and Publisher to the spine. The front boards features the JRRT Monogram gilt stamped in single gilt ruled box. Blind stamp of the heraldic device Tolkien designed to represent Luthien Tinuviel to the rear boards. 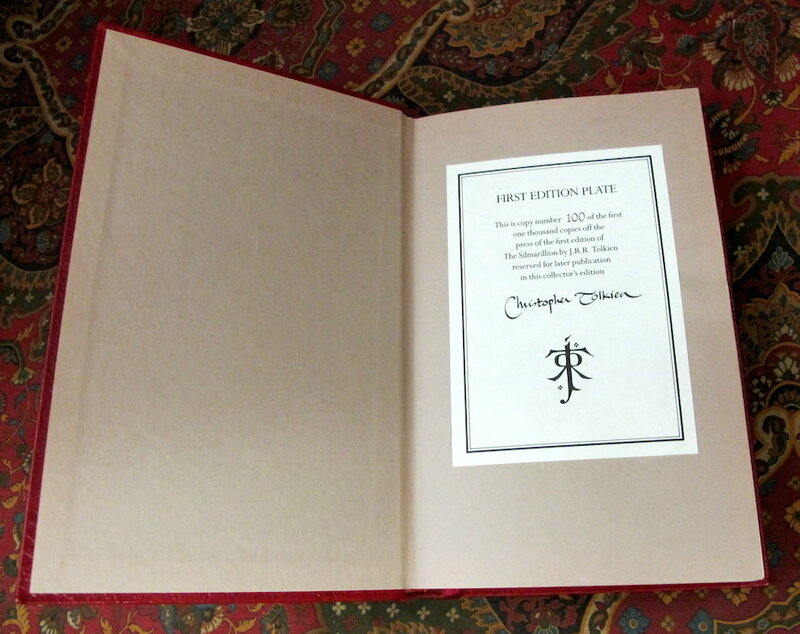 On the first free endpaper, the Publisher's Limitation Plate, gives the Limitation number of 100 of 1000, and has a wonderful, clean flowing signature of Christopher Tolkien. 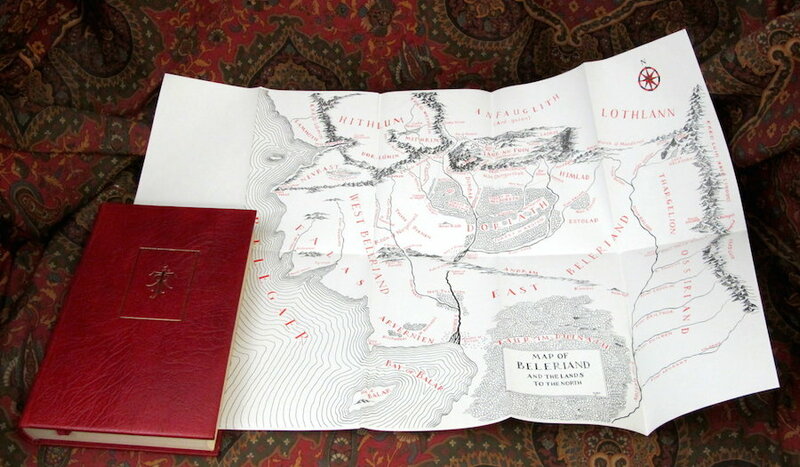 The map of Beleriand and the Lands to the North appears as a fold-out map, and is printed in black and red, no tears or marks noted. A striking example of a very scarce and hard to find book. 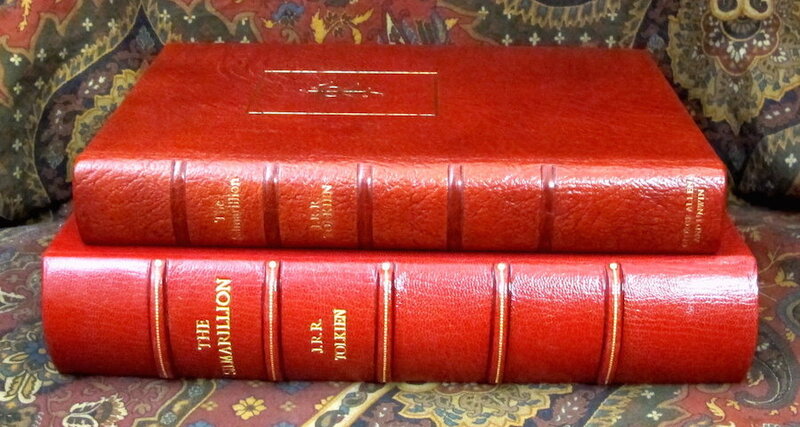 Matches in size and style the 1987 Unwin Hyman Super Deluxe Limited Edition of the Hobbit. No foxing, no previous owners name or any other writing. 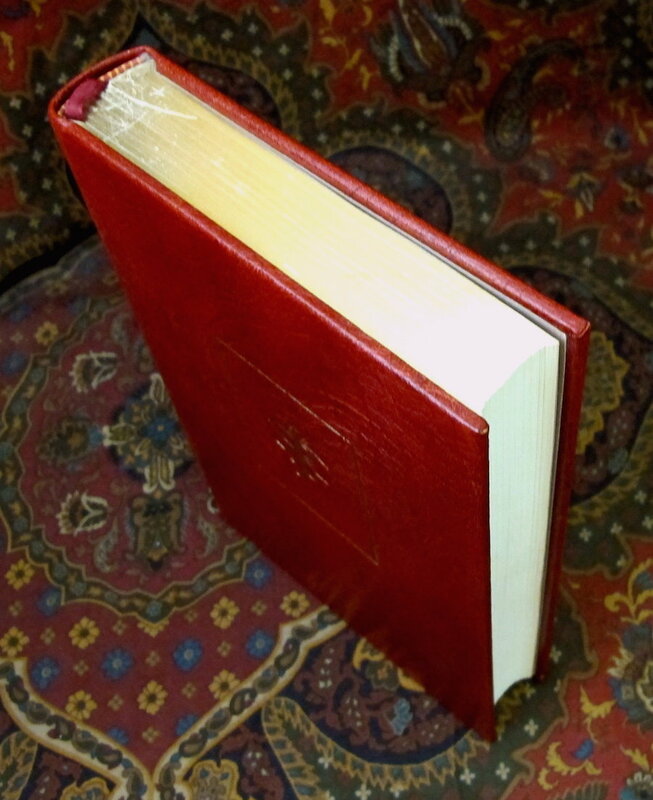 The red leather is not faded to the spine, as is so often the case. 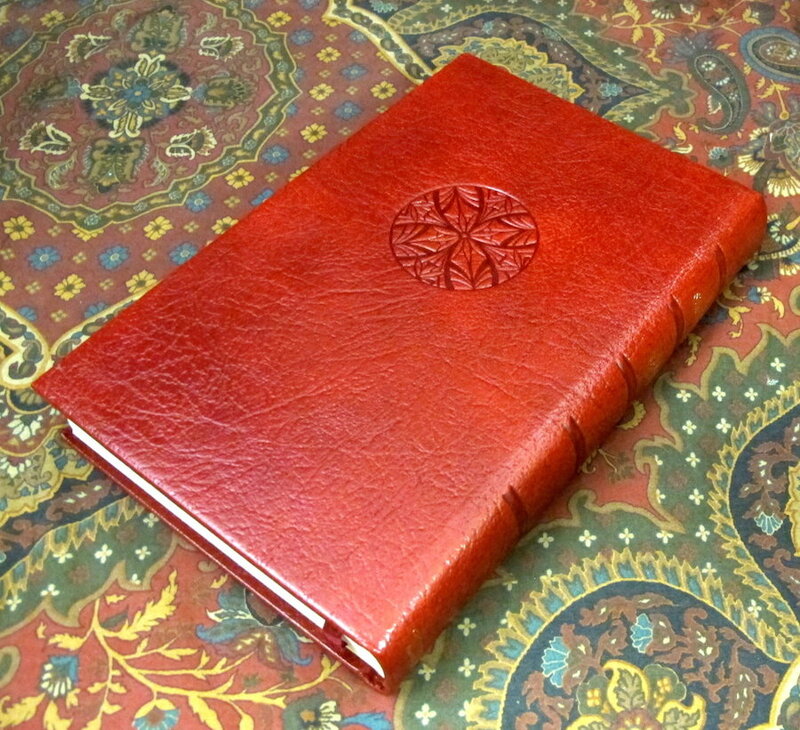 The orignal slipcase has been replaced with a custom quarter bound red leather and cloth clamshell case, made by The Chelsea Bindery. Lined with red velvet, a fabulous home to protect and house this very scarce edition.